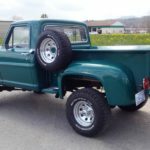 In April 2016, we wrapped up the F-100 truck restoration and paint job. It was a big restoration that included a lot of rust repair and body work. 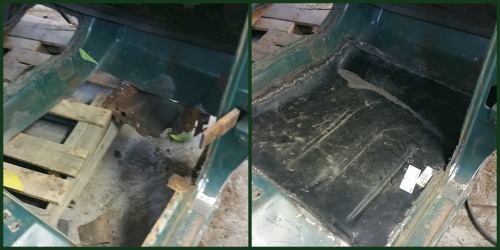 We did repairs to the cab and chassis, but replaced the bed and most of the floor pans. It has come a long way from what it was when it came into the shop. In the picture below, you can see how bad the floor pans were rusted out. We replaced the floor pans, welding in new ones. 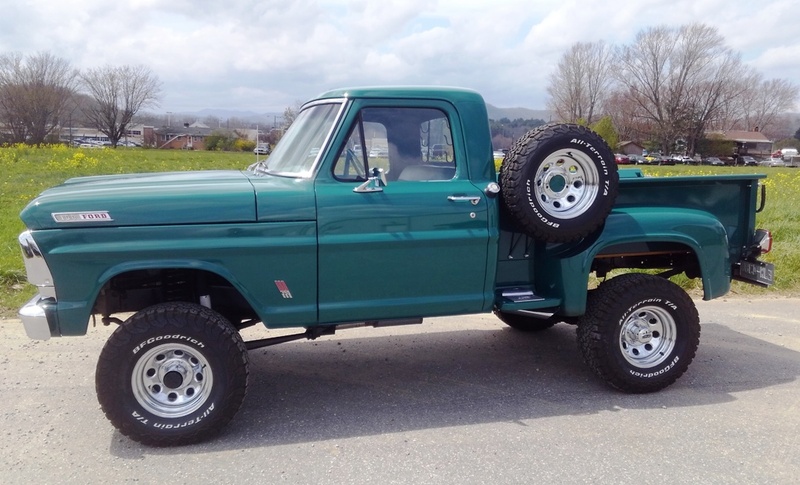 Like most truck restorations, this was a frame-off restoration. This means we did the repairs with the cab and the bed detached. 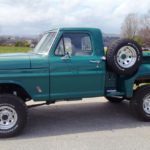 All parts came off of the truck and were repaired of any rust damage and body imperfections. Once the truck is all put pack together, we can paint the entire exterior. The last time we saw the F-150 was when it was leaving the shop on a trailer. 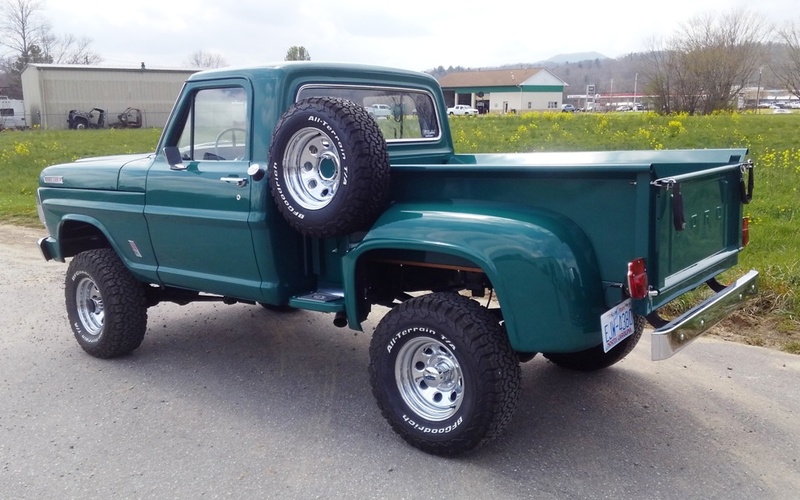 To read more about the process of restoring this truck, scroll down to the links below. We posted several blogs on this truck. 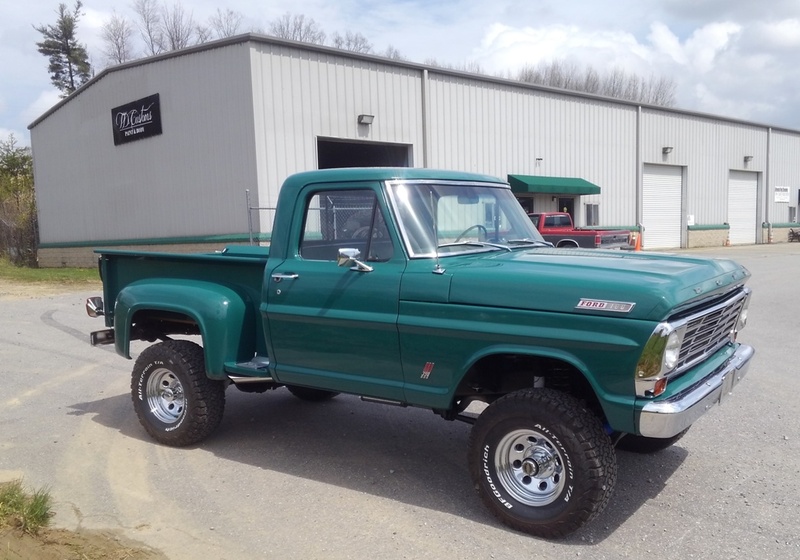 This beautiful classic truck has since gotten its motor work done, and is on the road and driving. However, it’s gotten damaged in the meantime and needed a few touch ups. The rear bed panel and roof needed to be touched up and refinished back to original condition. The owner had also chosen to wait on refinishing under the hood. He didn’t want to risk damaging the paint while putting the new motor in. 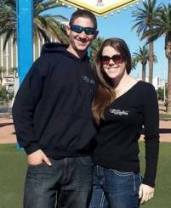 We love when old customers bring their vehicles back to us for touch ups or collision repair. It’s nice to catch up with the people we see and speak to so often during their restoration process. We also like being able to keep those vehicles looking their best at all times. 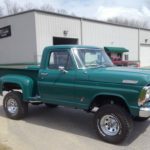 TD Customs specializes in classic cars and trucks. 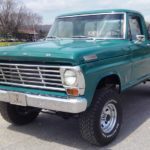 Whether your classic truck needs a full restoration or just a few touch ups, trust the shop that works on these older model vehicles every day. See our Photo Gallery for some more pictures of our restoration work. Contact us if you’ve got a few touch ups on your vehicle, or even if you need a full restoration. 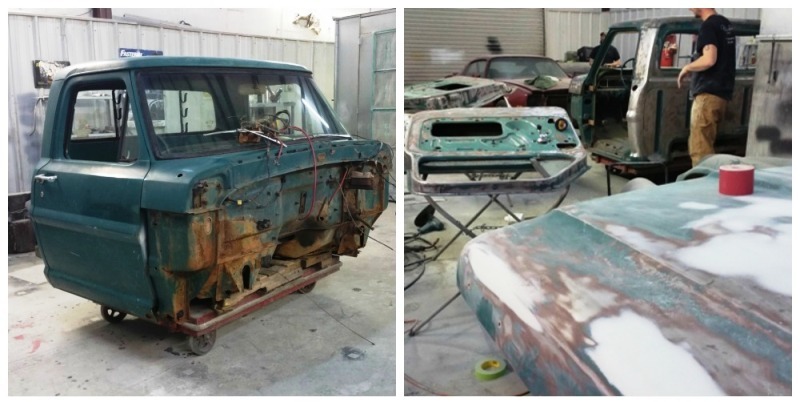 No Replies to "'67 Ford pickup back for Paint Touchups"